So what’s the first thing you want to see when you enter your house? We have an entryway into our house–not quite a mudroom, and not what I would call a foyer either. Actually, it was once the front stoop of the house in an earlier incarnation, but some previous owner glassed it in with paned windows on three sides. It’s a nice, bright entryway into the house, without question, but it is also a clutter-trap for all sorts of things. 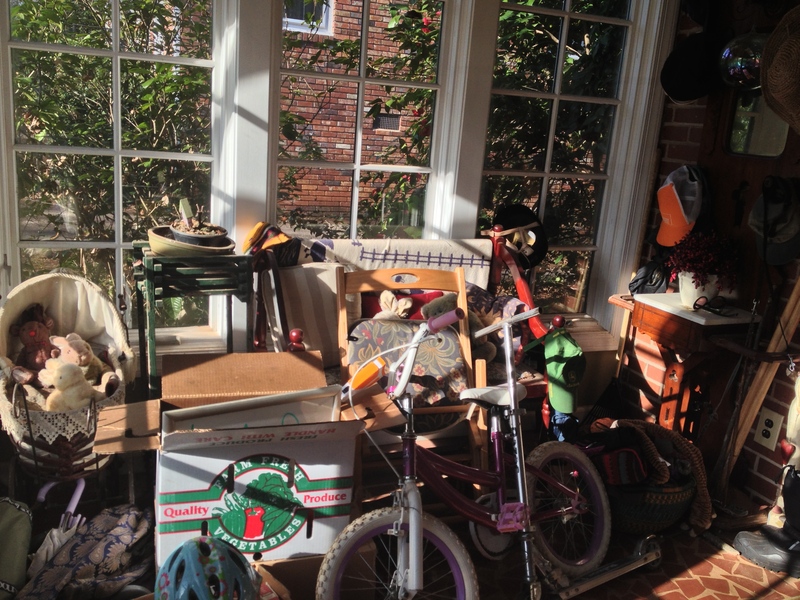 The kids’ bikes end up in here, along with assorted toys, winter boots, planter pots, backpacks… OK, you get the idea. So today, I decided to clear out this space as much as possible. I sent toys and bikes back into the basement from whence they came. Random pots and boxes: I discarded or dealt with. And of course, I gave the room a good sweeping, which it hadn’t seen in a long time (yes, plenty of Christmas tree needles lingering in the corners). 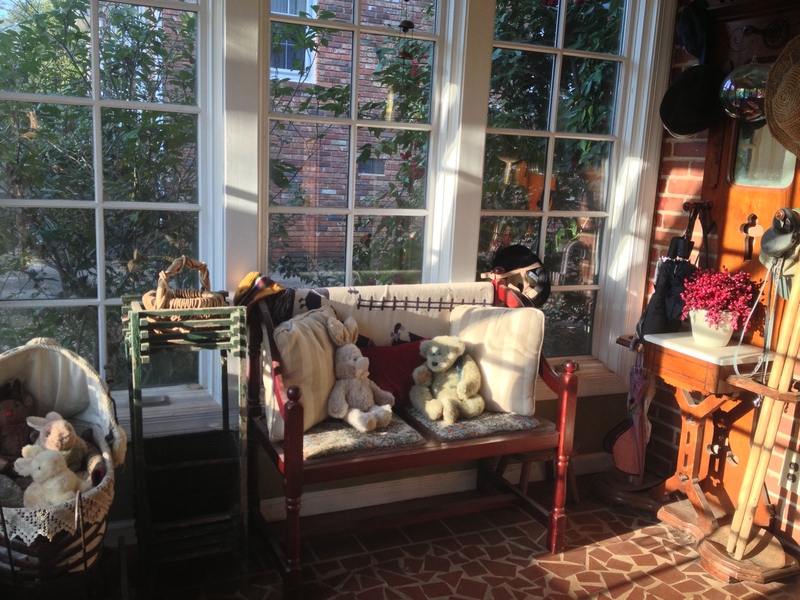 It’s a little space, and a little change–but it is the first space in my house that I encounter when I come home. There’s something unsettling about having to tiptoe around piles of stuff before I’ve even stepped foot inside my house proper. And it’s even more unsettling to realize that most of the time I barely even notice the chaos–though I am sure I still feel it. So now we have a clean entryway–though I know as with other challenges in the house, it will take some discipline and attentiveness to hold back the entropy. And that’s really the cue here, I think: to remember to see and attend to the spaces of my everyday life–even the ones that I am just passing through. This entry was posted in Uncategorized and tagged attention, chaos, clutter, home, simplicity. Bookmark the permalink. And greetings in return–thank you for stopping by! Love it, but, ouch … bicycles banned to the basement? They get lonely down there….